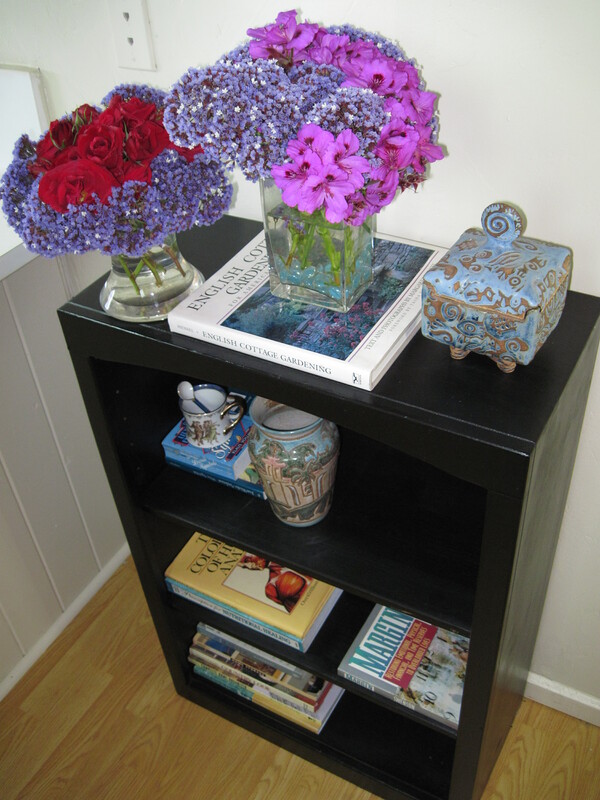 Shelving can be both practical and organized beautifully to create vignettes. 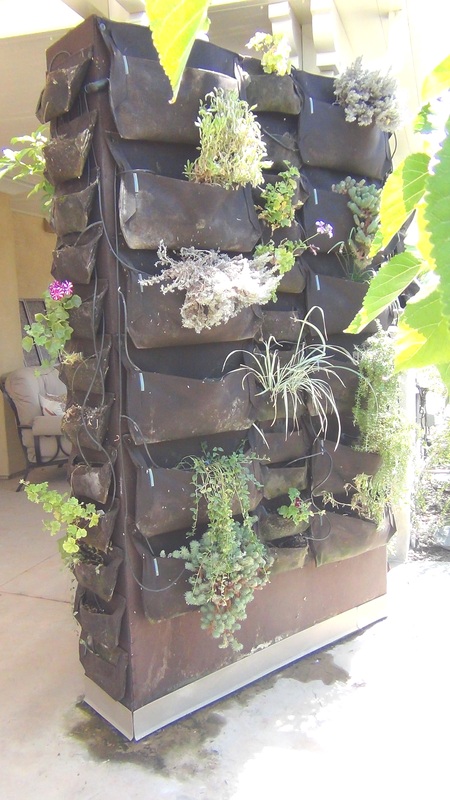 Vertical gardening is beautiful whether you are short on space or not! Going vertical is my favorite way to organize any space. What do I mean by “going vertical?” Some ways to go vertical are to use shelving, cubbies and hooks. 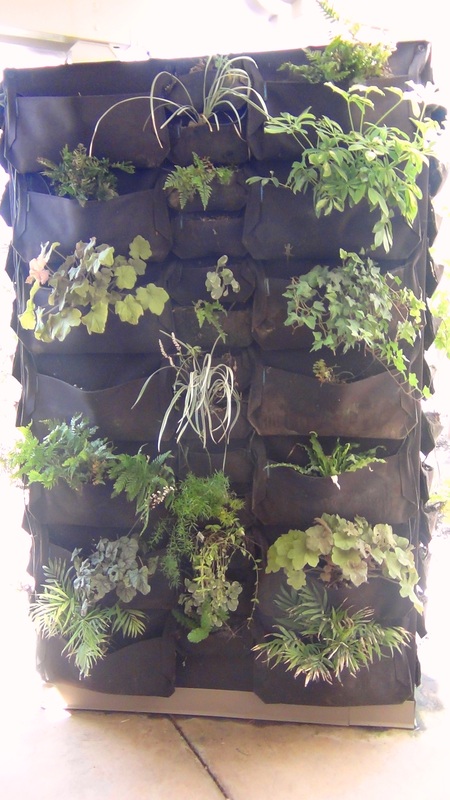 Use the air space instead of the flat space in your home and office — and, in your garden! You can pretty much never have too many shelves. Shelving and storage are so important that home buyers use it as a checklist box to purchase their home. If you’re prone to spreading things out while working on all of your projects, that’s great. We all have different work styles. 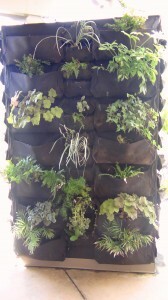 Just remember this simple tip: Put the project pieces and components away when done by “going vertical”. And, group “like-kind” items. Whether it’s shelves in the kitchen for food and plates, books, plastic storage bins, file folders, folded towels — or peg boards and hooks for tools and sports equipment in the garage — going vertical is the logical choice to maximize space and accessibility. I admire how this gardener has used the “go vertical” concept so beautifully in her garden. 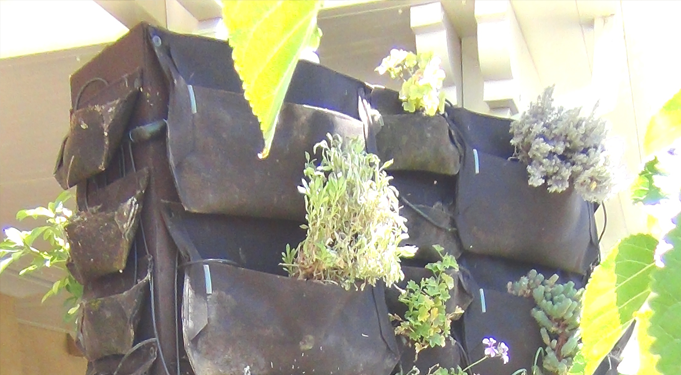 Vertical Gardening helps you stay Organized Beautifully — even in your garden.